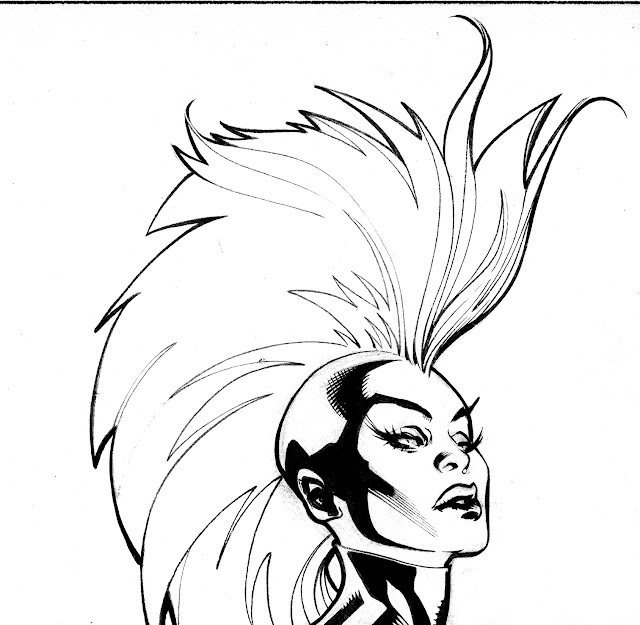 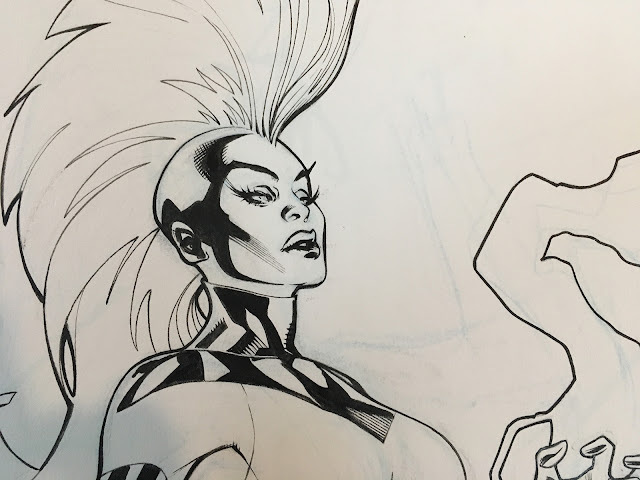 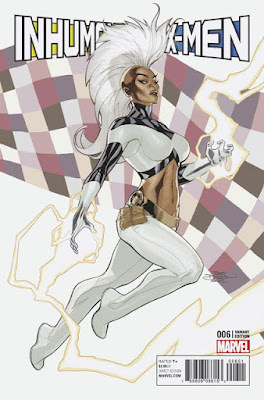 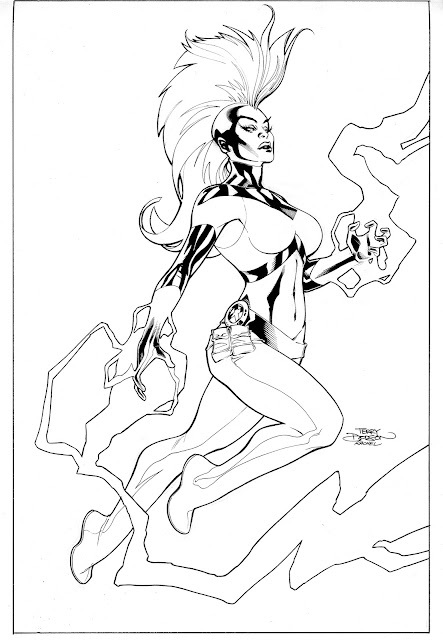 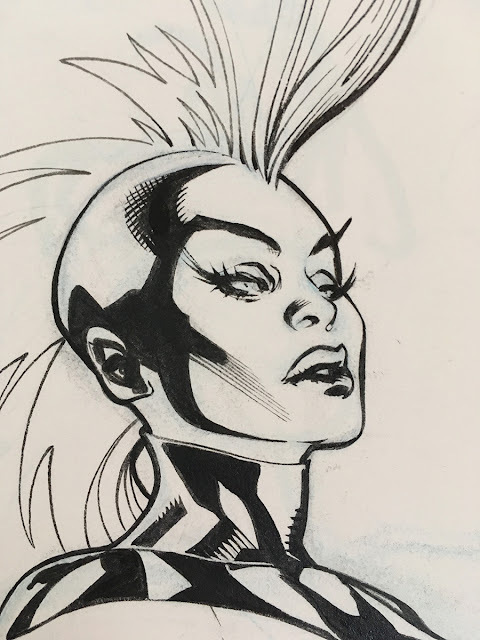 Here's the Inhumans Vs X-Men #6 Variant Cover featuring everyone's favorite Mohawked Goddess, Ororo Munroe ..... STORM! 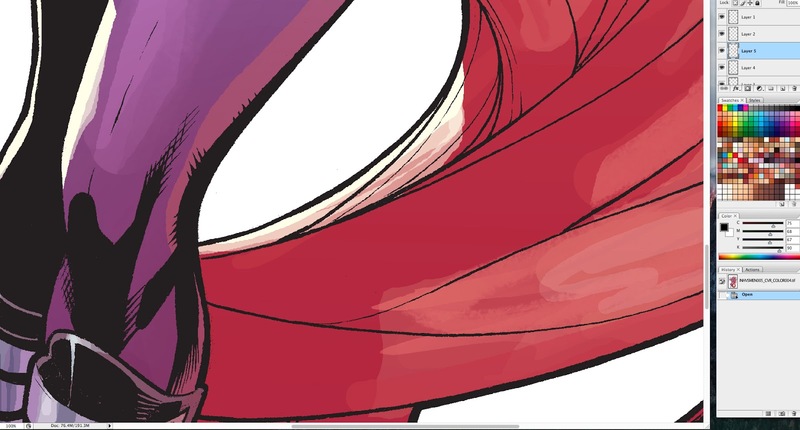 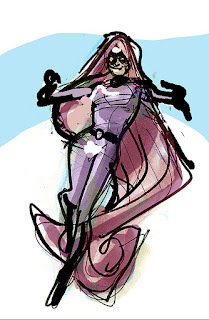 By Rachel Dodson and Me. 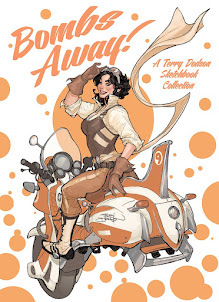 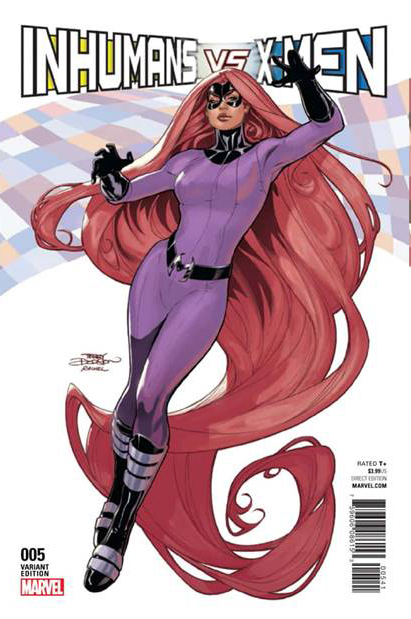 Out now from Marvel Comics. 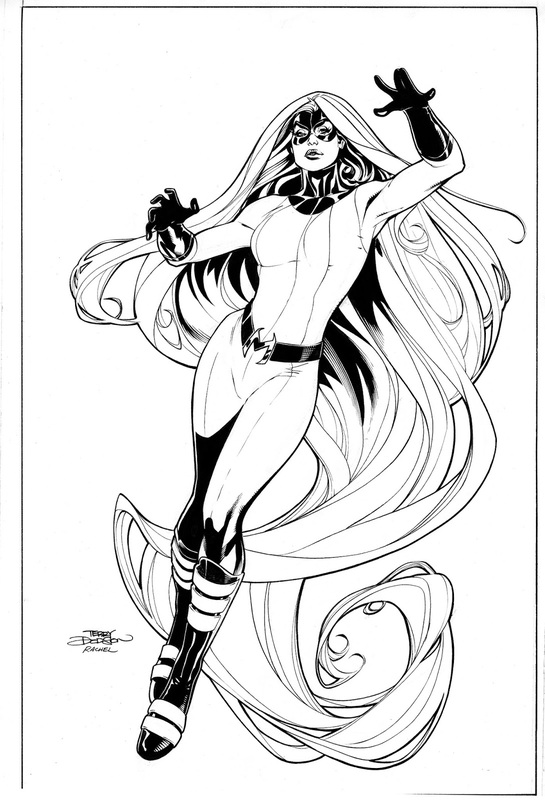 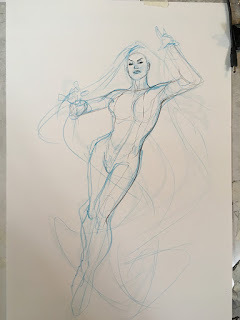 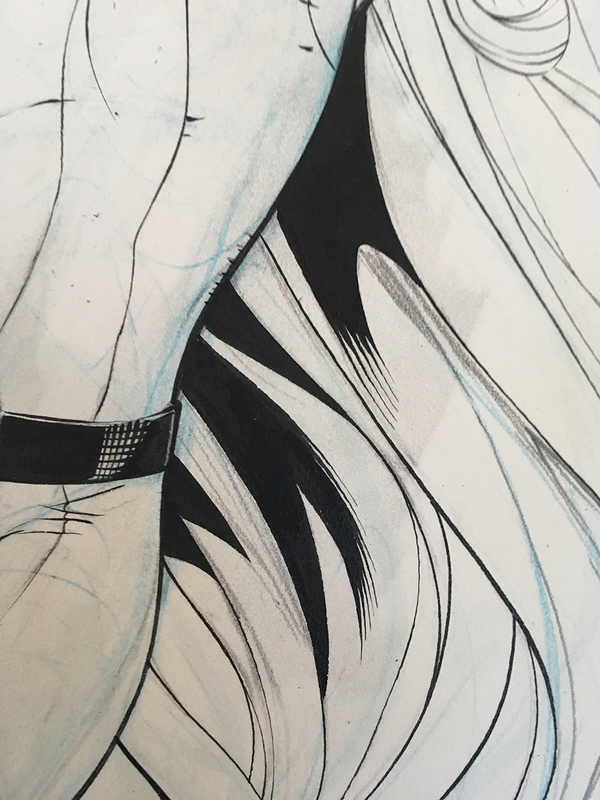 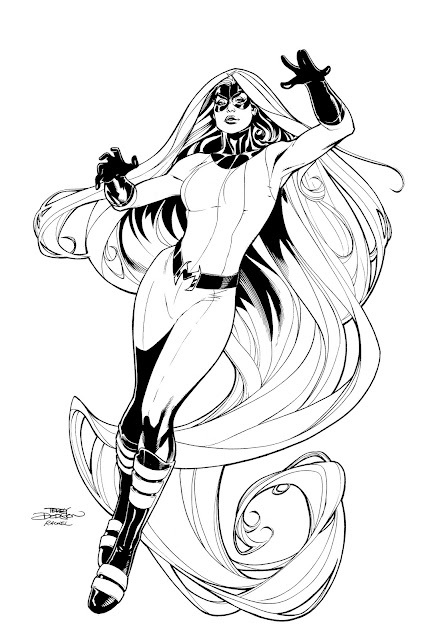 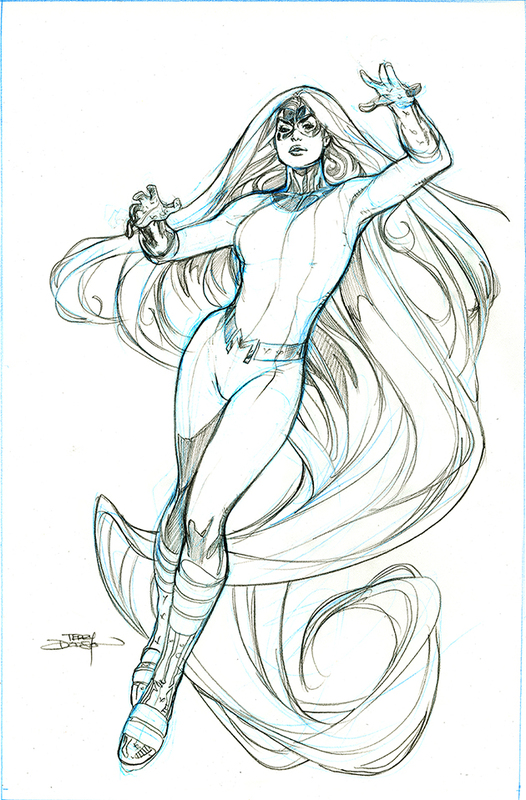 Rachel Dodson inks directly over my original pencil drawing. 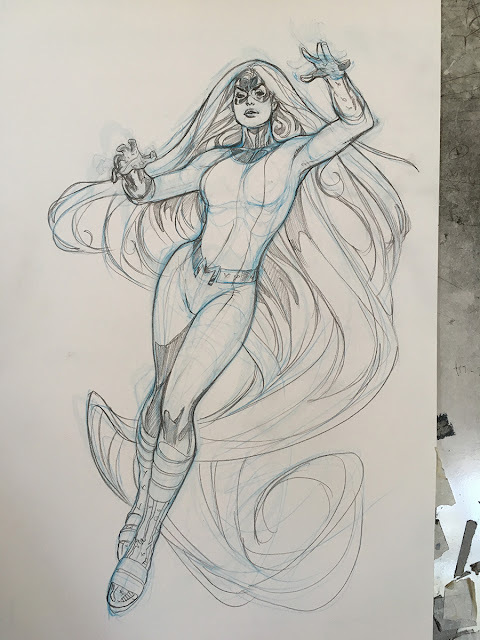 Check out the variety of grey Rachel creates - this is why I haven't gone fully digital! 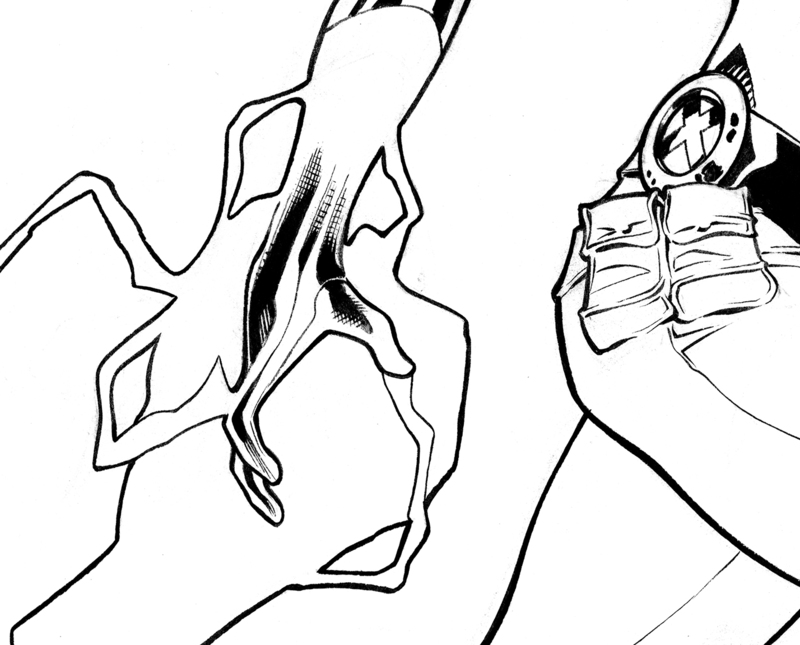 Again, check out the variety of textures - the lightning, hand, belt and pockets, and reflective metal X. The cover concept I sent into Marvel Comics Editors Wil Moss and Daniel Ketchum for approval. 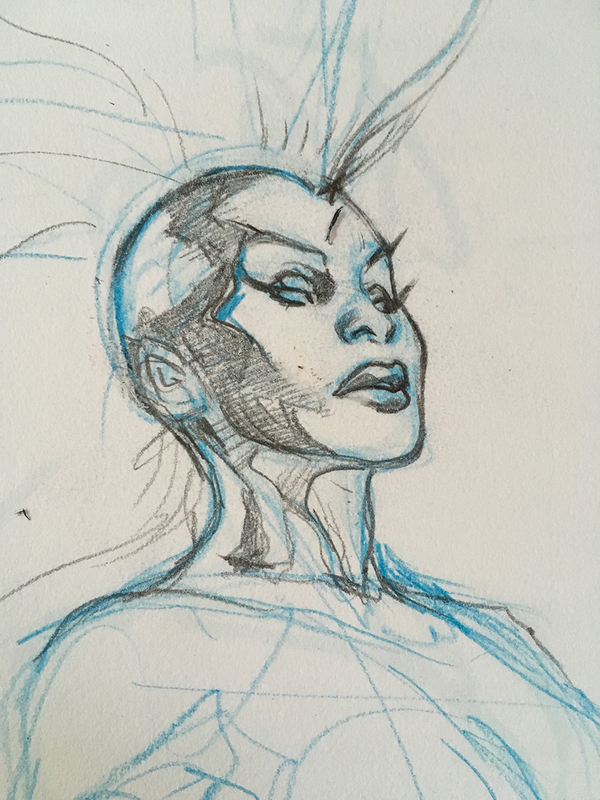 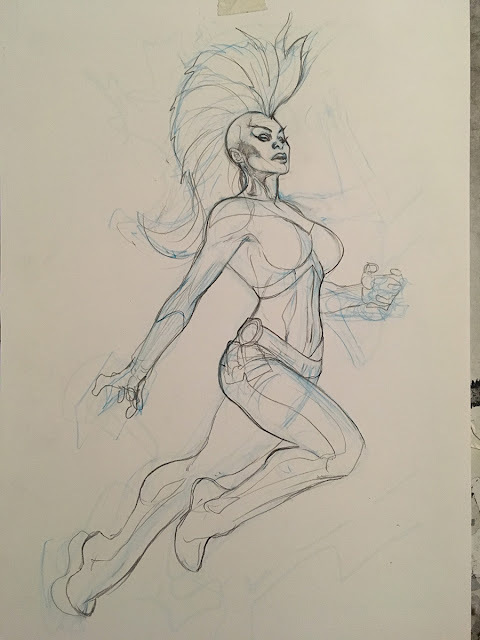 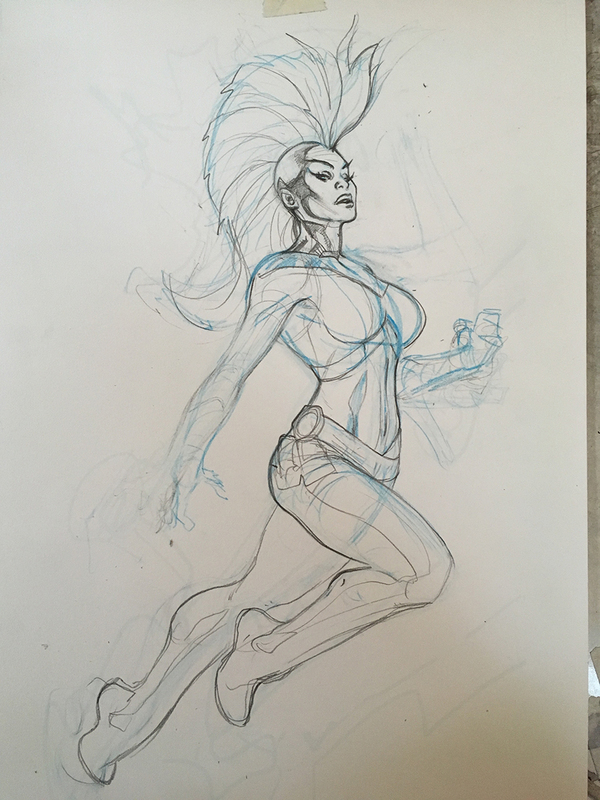 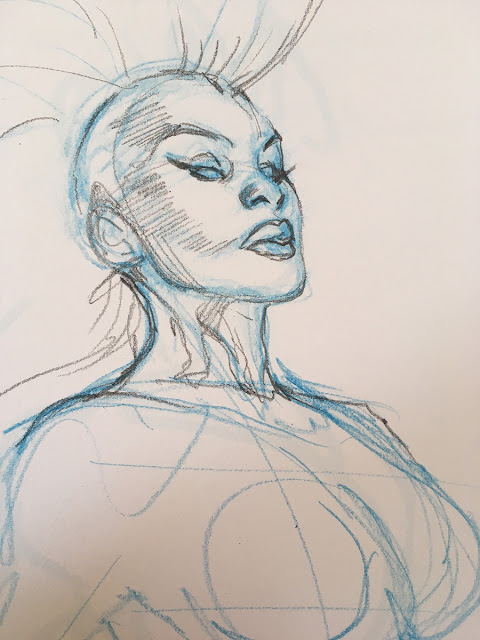 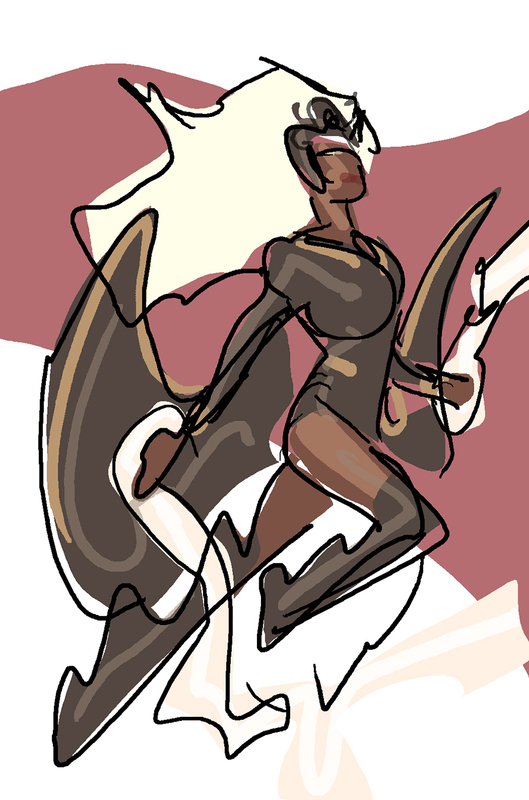 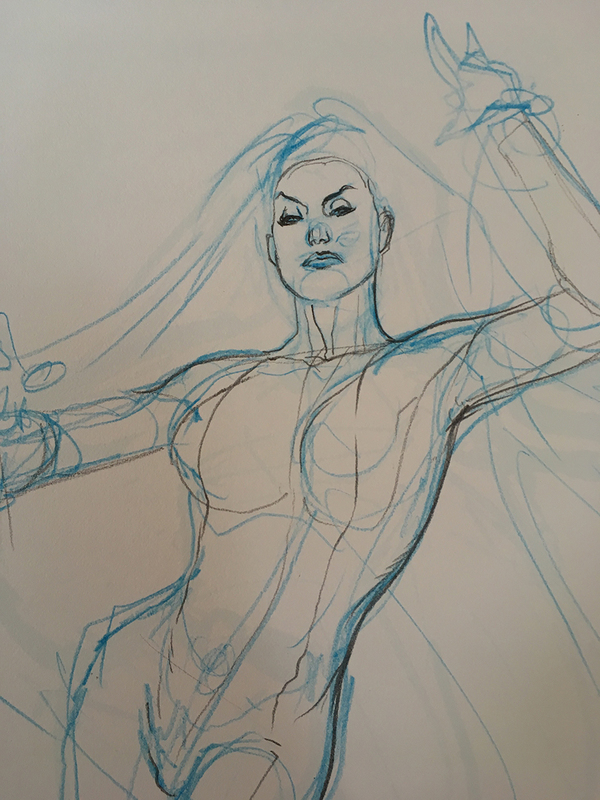 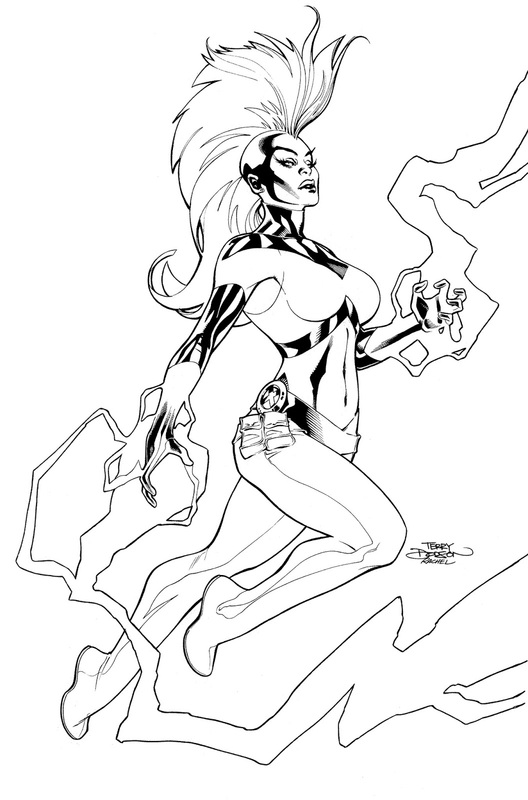 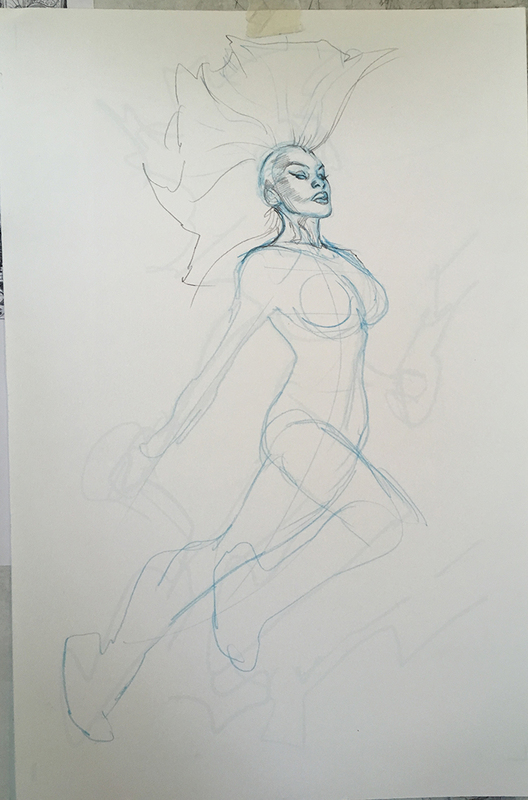 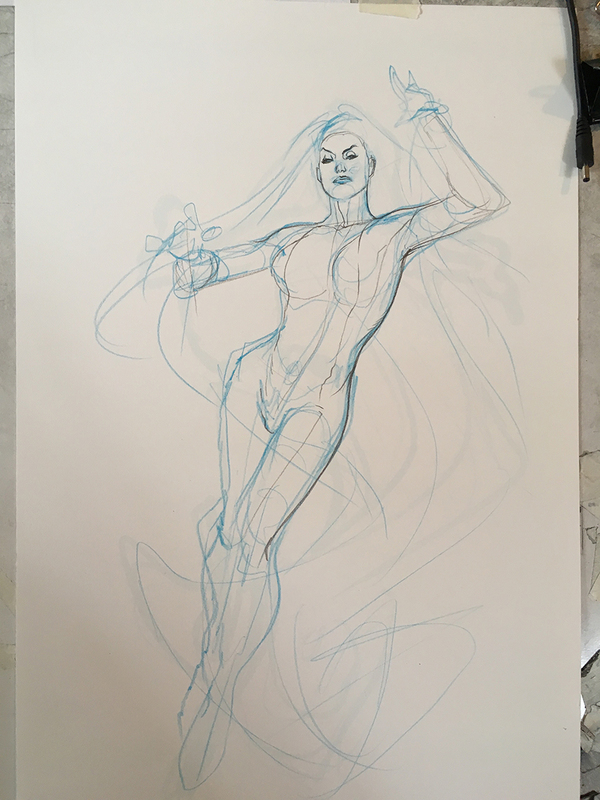 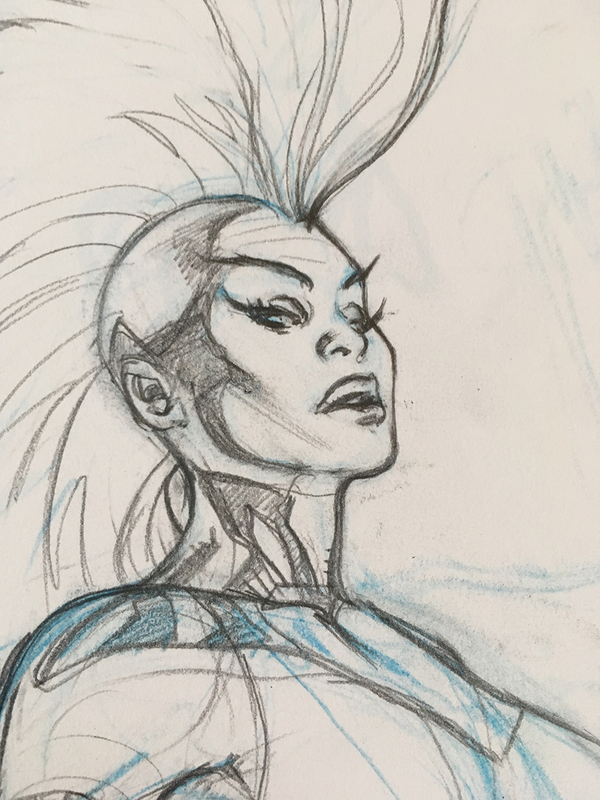 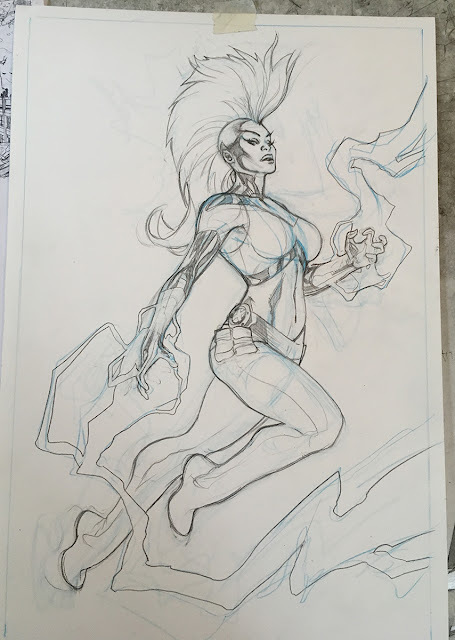 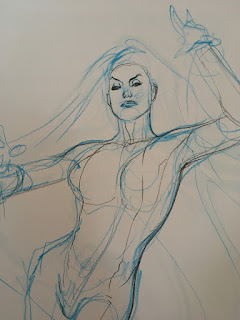 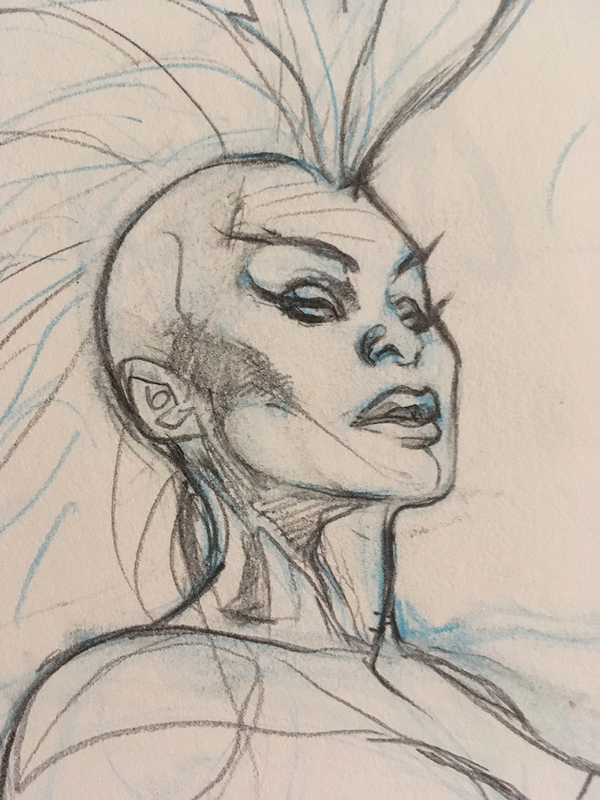 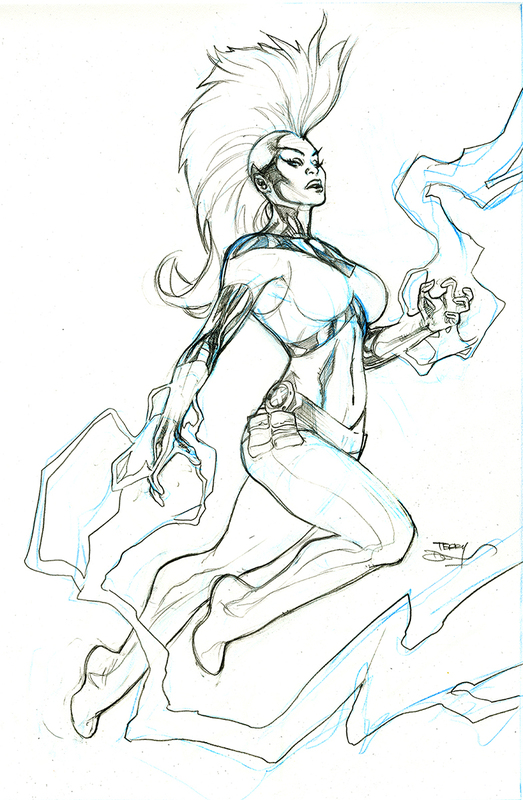 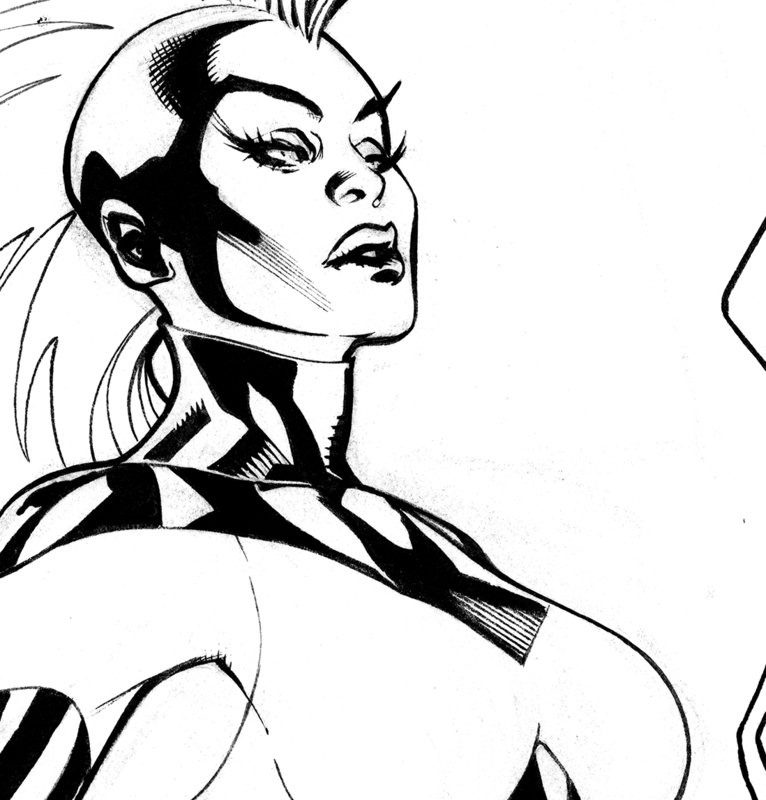 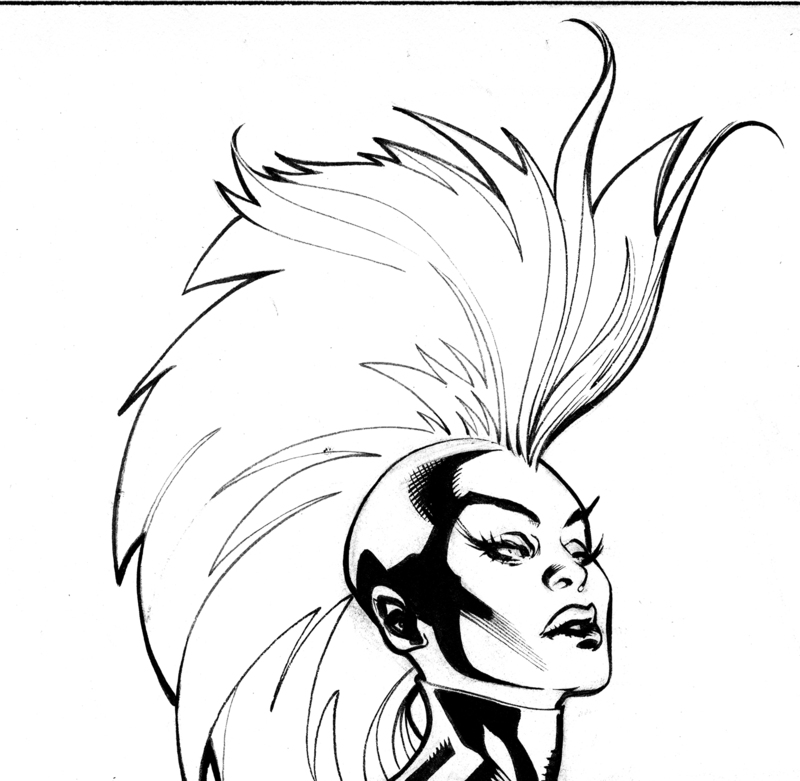 I was happy with pose and composition so I went right into nailing down Storm's face. With her face correct, I went straight into finishing out the anatomy of the body and new costume details. 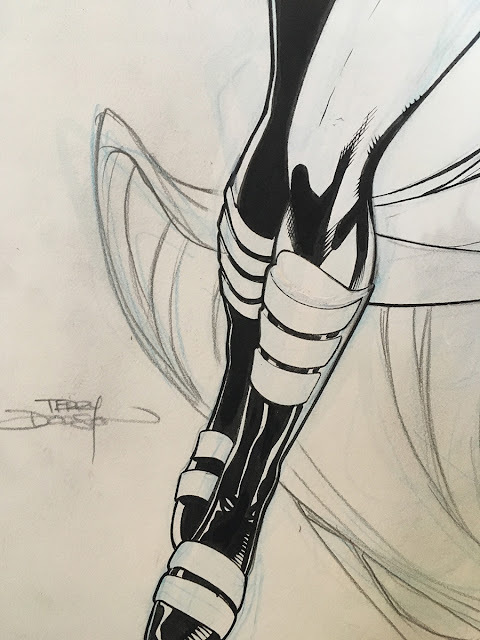 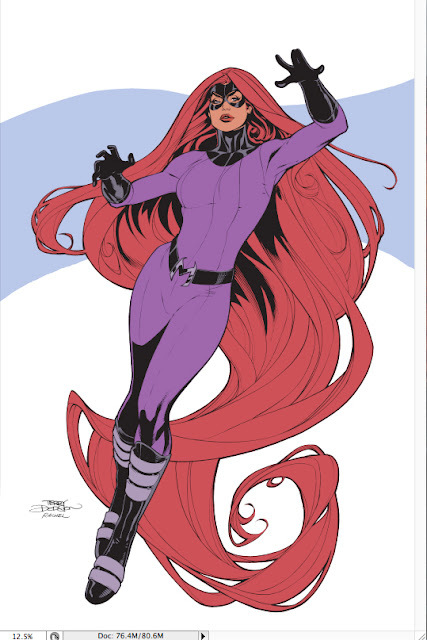 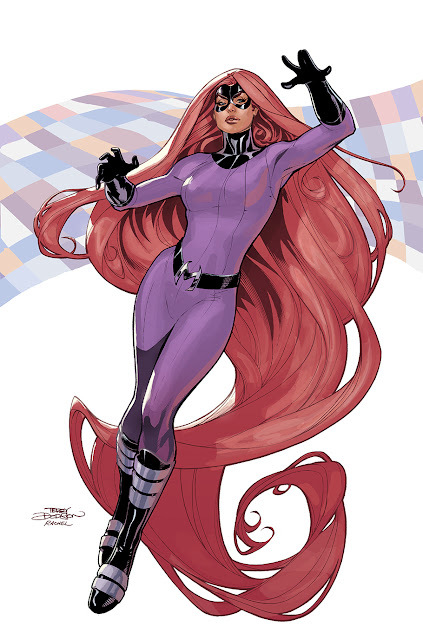 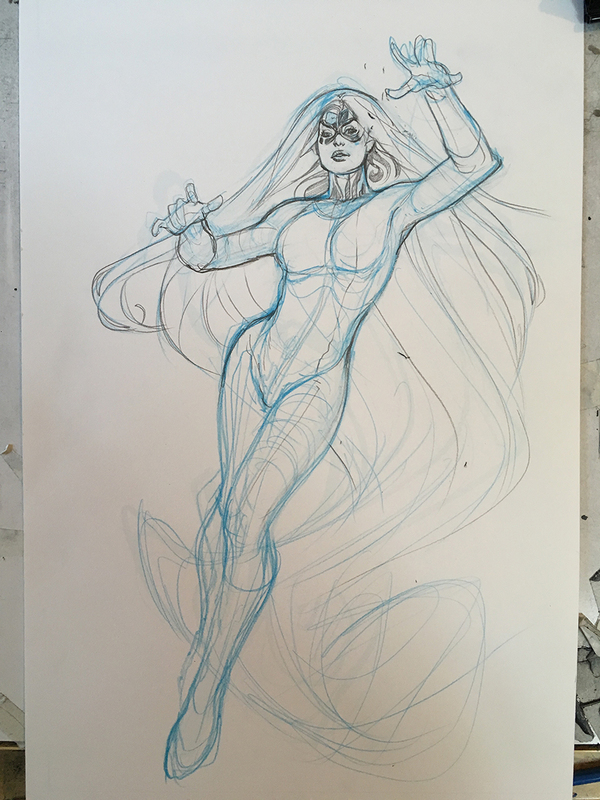 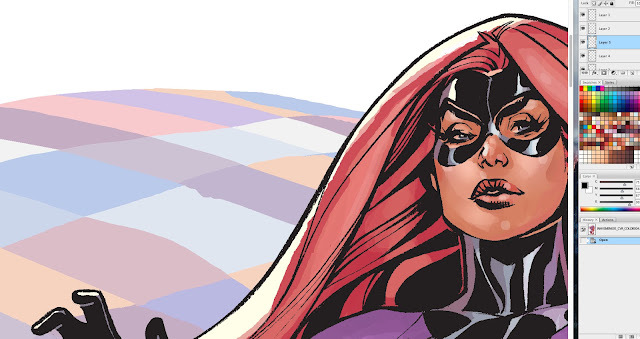 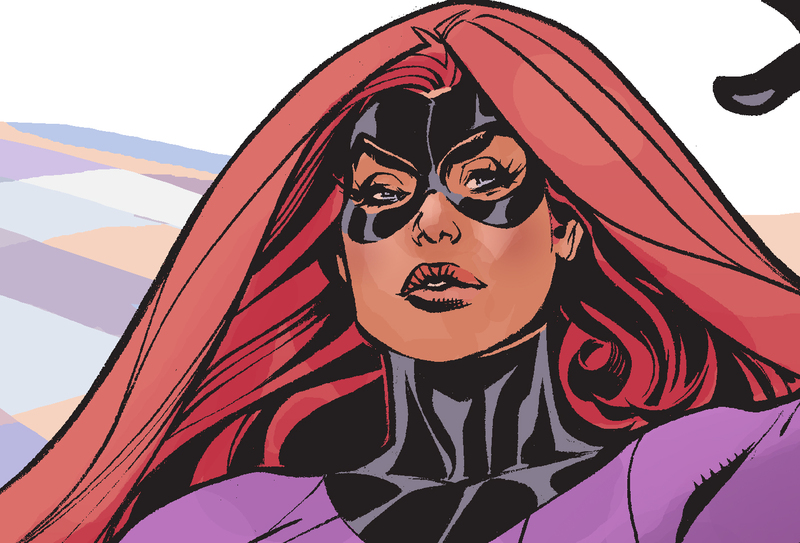 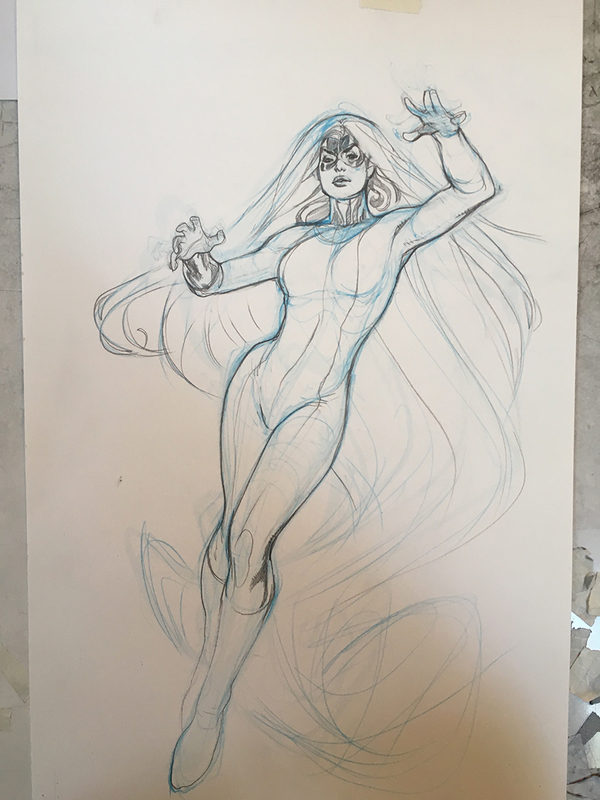 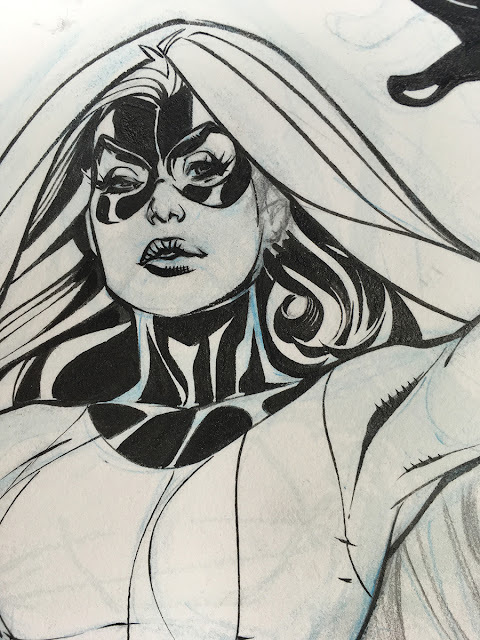 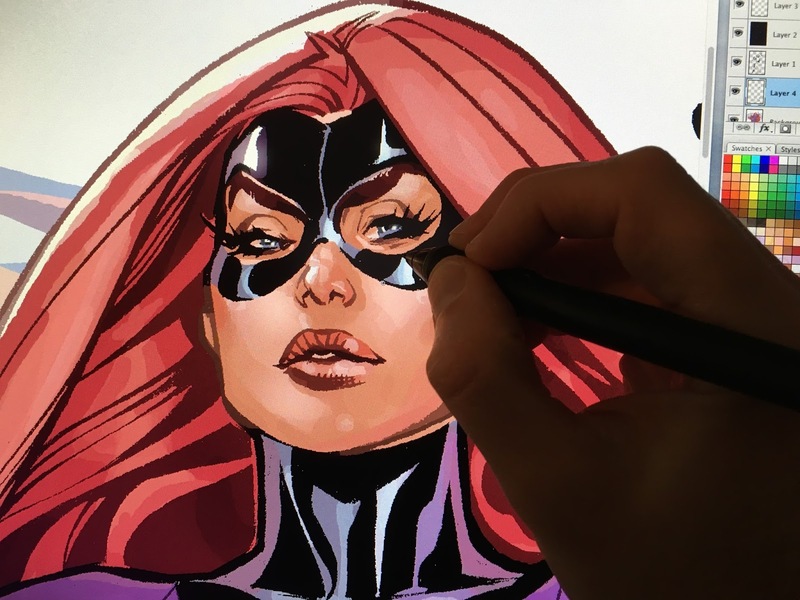 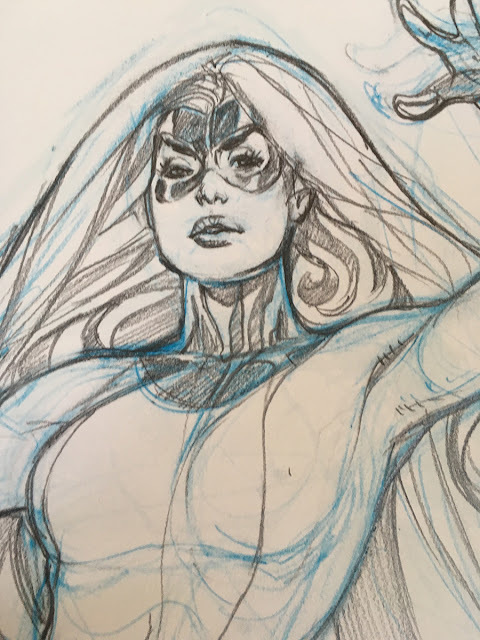 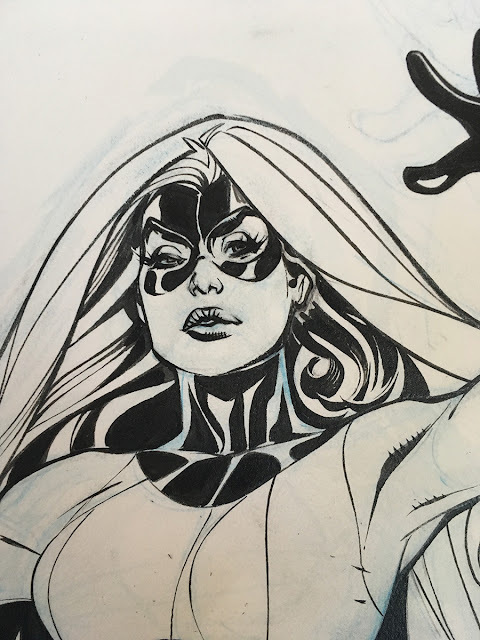 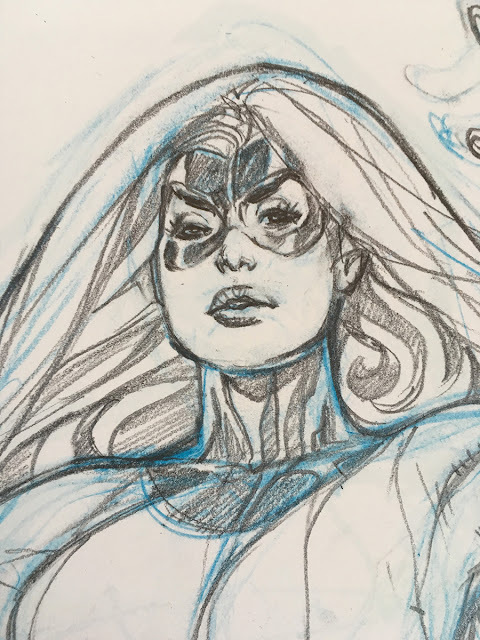 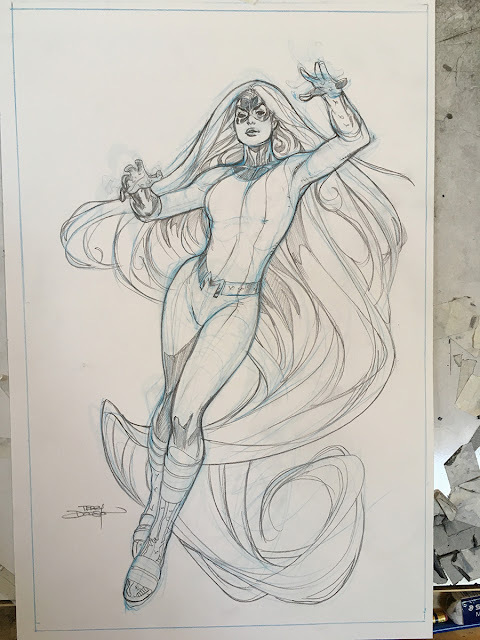 Decided to change her hands - make them a little more "aggressive"
Inhumans Vs X-Men #5 Variant Covers featuring that magnificently tressed Inhuman, Medusa. 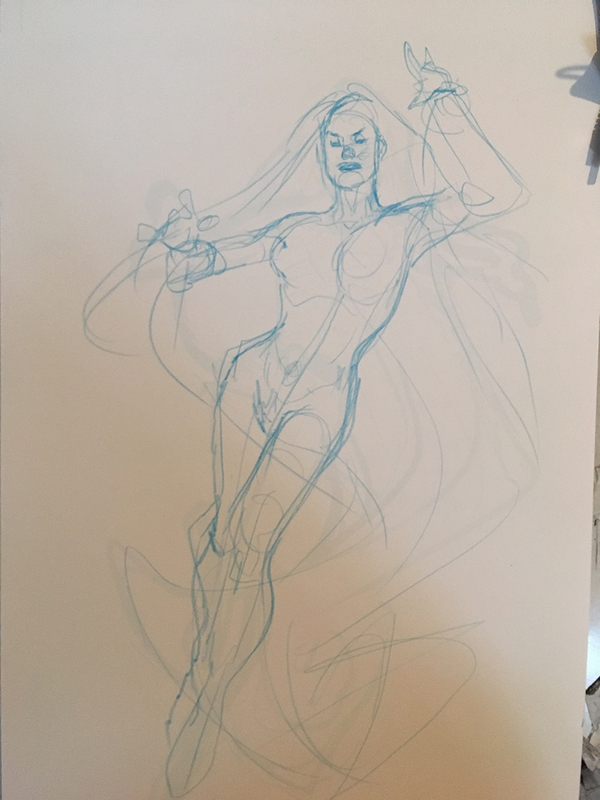 Here I rough in quickly all the medium lights and darks on the figures and cast initial shadows. 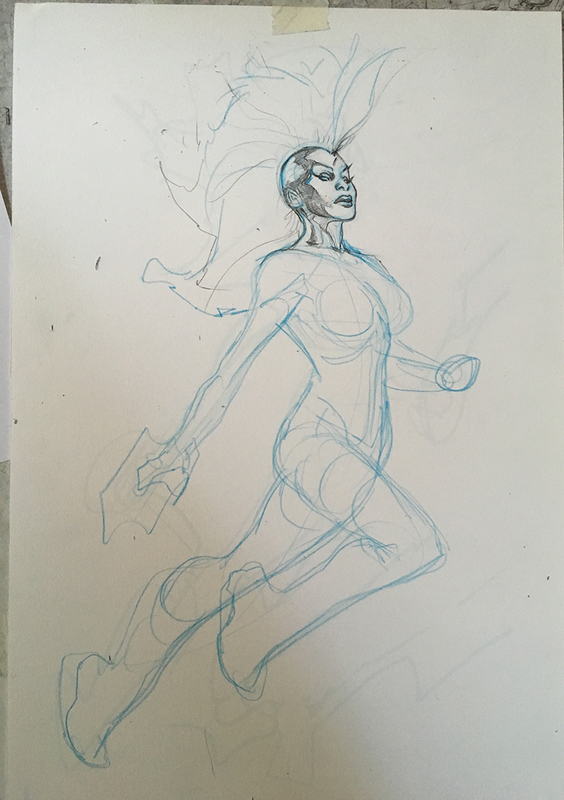 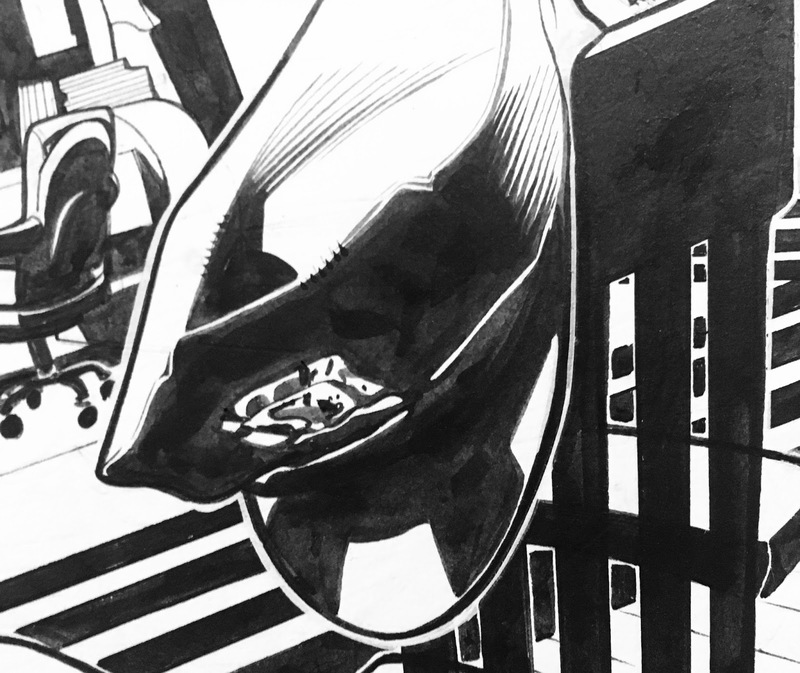 I went on the rest of the figure and face and knocked the next lights and darks using the pencils tooling at 70-80%. 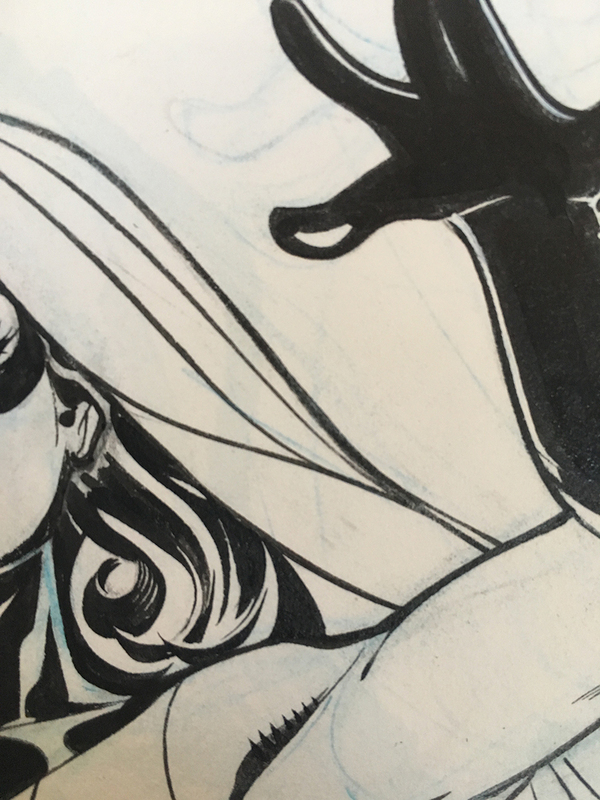 Rachel inks with a Windsor Newton Series 7 Kolinsky Sable #2 Brush and Dr. Ph. Martins Black Star Hi Carb Ink. 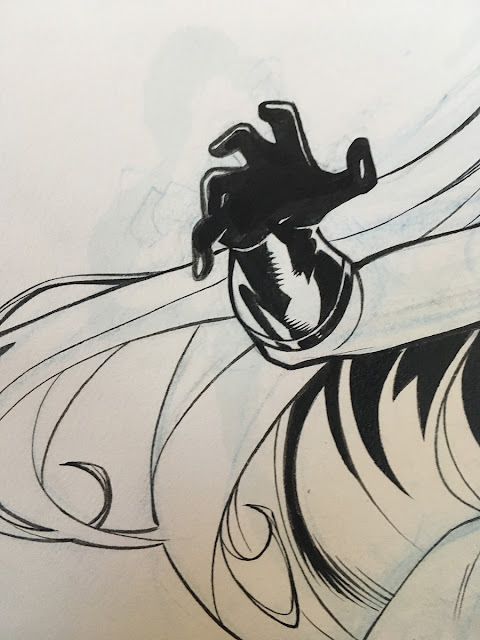 Here's Rachel inking those hairlines! 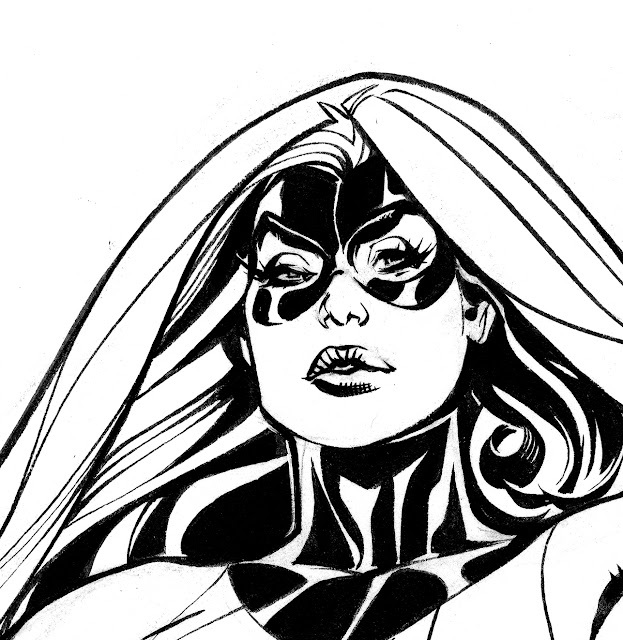 And what it looked like after inking the hair in the video. 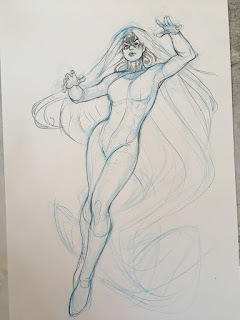 Rachel Dodson inking some Adventureman! Adventureman!, our brand new creator owned book, along with Matt Fraction is in the works, NOW! Using Col Erase Light Blue Pencil and Staedtler HB Lead Holder. 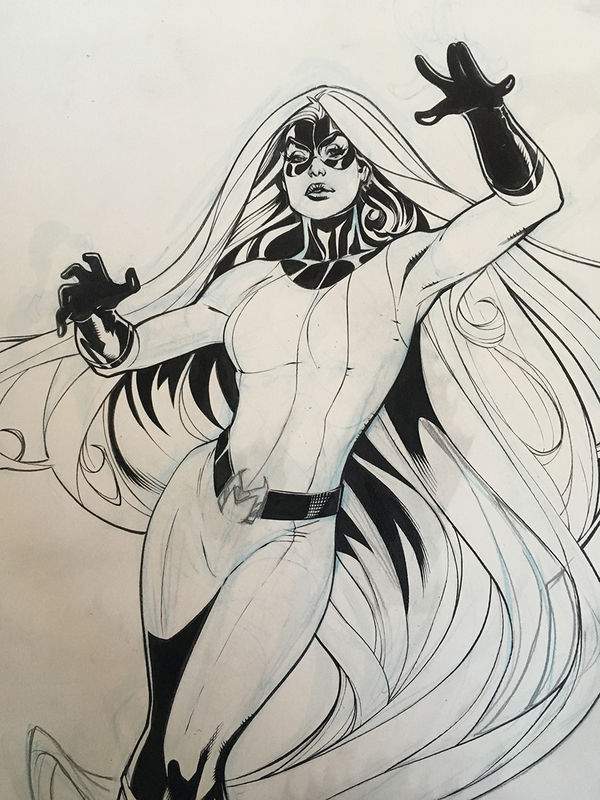 Thanks, Seattle! 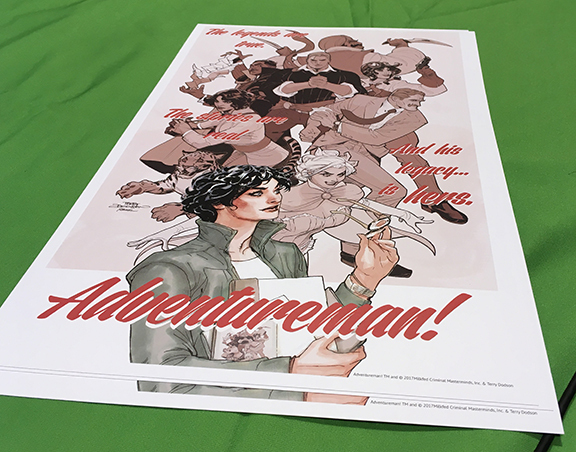 ECCC 2017 Recap!